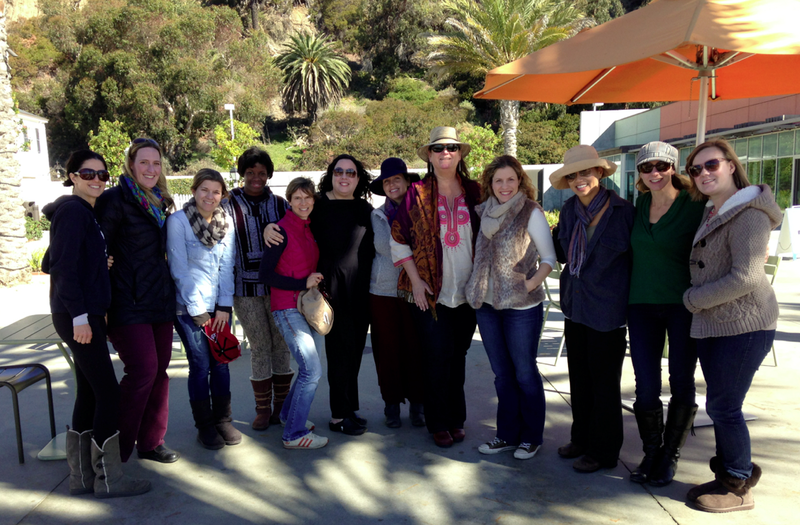 Ron invited me to Facilitate a Board Retreat for the YWCA Family Cooperative Preschool. It was my first time soloing for Ron Milam Consulting as well as my first time facilitating for a group with which I had no personal affiliation. I’m excited to report it went really well! He and I had a great phone call the week before with Ann Shrake the Board President and through that conversation landed on a solid plan for an agenda. They started their day with a presentation from Heidi Steiner on Coop Preschool Board Best Practices. The co-op in its current incarnation is about three years old and they are at a point of transition where a number of board members are “aging” out so-to-speak as their children are moving into Kindergarten and they are needing to bring in new parents to the board. Through our call we determined that before addressing some larger questions for the school, we should set a couple of concrete goals around strengthening Board relationships and moving forward with developing the next generation of Board Leadership. Ron designed an agenda around the idea of Appreciative Inquiry, which I REALLY appreciated! I participated as a listener during Heidi’s presentation, which was wonderful and provided me with a nice transition for our late morning and after lunch work. We incorporated her suggestions for procedures to incorporate into existing Board structure and more importantly as the founding members transition out, how to mentor new board members? Using the Appreciative Inquiry approach, I asked them to share stories of early successes and find common themes. Situated on the patio of the Annenberg Community Beach House (one of Ron’s suggested places for a nonprofit to retreat in Southern California) on a gorgeous day we took advantage of the proximity to the beach to pair up older board members with new or soon-to-be board members and sent them on a 15 minute walk (Ron is also a fan of incorporating physical activity into retreats). They naturally fell into groups of five or six from the directions when they came back so I asked them to share the stories and themes. We then took each group’s sheets and looked for a common thread. Words like “community”, “common purpose” and “collaboration” fell across both sheets, but what was even more powerful was identifying specific events and circumstances from which these themes connected to real success. During lunch I called Ron to check-in and ask him about what or how do you address topics that come up in a side conversation that are not addressed in an agenda item. The Board had 90 minutes after lunch to identify roles and responsibilities, discuss board recruitment and end the day with a solid commitment from each of the board members as they move into this next phase. It was helpful to have a quick conversation with Ron to remind myself that we needed to stay on task while at the same time it is my job to move with the group with whatever comes up. As we began I reminded the group that as Board members come and go the dynamics along with needs of the group also change and that this was their chance to set a framework for how they want to move forward NOW. I could feel myself wanting to express or share personal experience as a founding board member while also realizing I did not want to impose my experience as a decision. I was able to slightly rein that in by backpedaling and asking what are the roles now that folks perform. What was missing? How can they incorporate new folks into that space? And how can they best steward new families into their community? The group had a great discussion and were able to focus in on making commitments for the next month that were about setting the groundwork for new communication practices with families and the Y, mentoring in new people and working together to identify what steps they will need to take as the Coop moves forward into this next phase. I was thrilled that we walked away with a full but doable list of action items and people assigned to the task. For my first solo facilitation—not bad! Reflecting on the day, there were two things that came up: One, the environment. 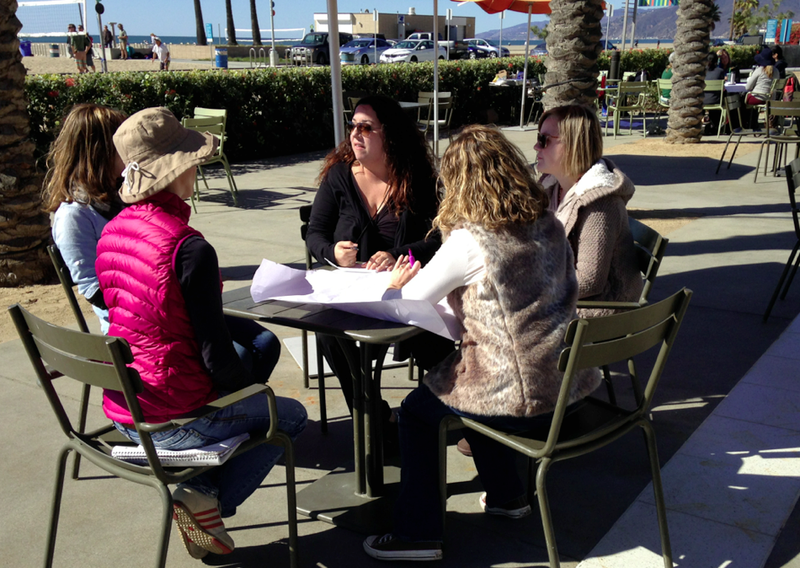 How fortunate are we to be able to host a retreat on a patio next to the beach IN FEBRUARY! The two biggest worries? Sunburn and well, wind. The latter actually proved to be a challenge. I had Ron’s brand new easel with the posterboard and I quickly realized I was going to be bringing it back to him in shambles, so I had to lower it and improvise (which Ron tells me is a key skill for facilitating any retreat). It worked fine before lunch since I simply the small groups a sheet of paper and had them use a table to scribe. When comparing the two for the debrief, we simply put them on the ground and stood over them. I crouched between the group and used a different color marker to draw the comparisons. It was a little more difficult in the afternoon because even just putting it on the table to write over, I had to tape down the edges. It made me a little frustrated, stressed. But finally, I just said, “Brother Wind is not my friend today.” and we all laughed. The second thing that came up was more an observation about facilitation style and the idea of remaining neutral. Stewarding the group rather than offering opinion. There was one moment during the board roles discussion where a member asked about having a closed meeting, asking the Director to not attend so that there can be more open discussion. I responded by saying I needed to take off my facilitator’s hat and reply from the standpoint of personal experience. I shared how in my other role as a staff person at a nonprofit that our Board has delegated a closed session for part of the meeting each month and also that you can have a meeting with just the executive committee and that this is ok. It felt good in this instance to put parentheses around it and respond. 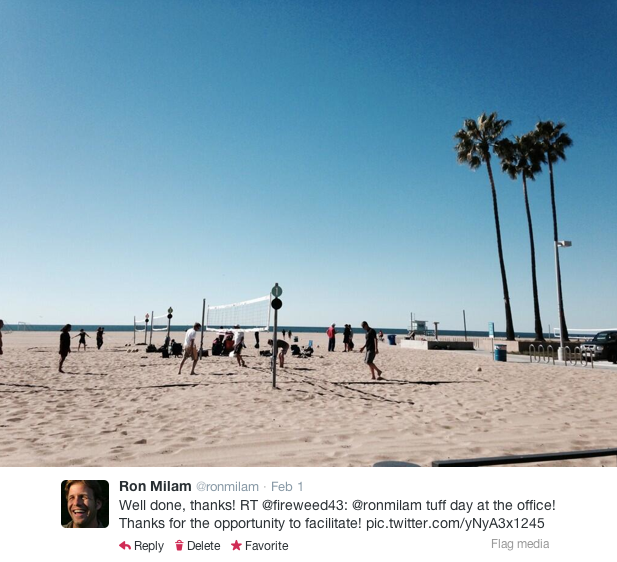 But, it was also great to be able to talk to Ron about this after. He has a lot of experience and through the graduate program he is in now, shared that his thoughts about facilitation are evolving in regards to the facilitator remaining neutral (he mentioned the book Changing Conversations in Organization by Shaw as an influence on his current thinking). He encouraged me not to stress out too much about piping in. It’s a larger conversation and one I look forward to developing with him in time. I’m excited about this working relationship with Ron. I like the dynamic of assisting him, his openness with welcoming my observations about his facilitation practice and his encouragement and trust in me to push me to take on lead facilitation as I develop mine. It seems like a solid approach to work together as a team with him developing agendas, leading the conversation with clients and coaching me through the process. Much like mentoring in new people into a group setting this dynamic creates a community of facilitation and in essence, puts into practice the work we are trying to do with organizations everyday. I look forward to my next opportunity to facilitate a retreat. 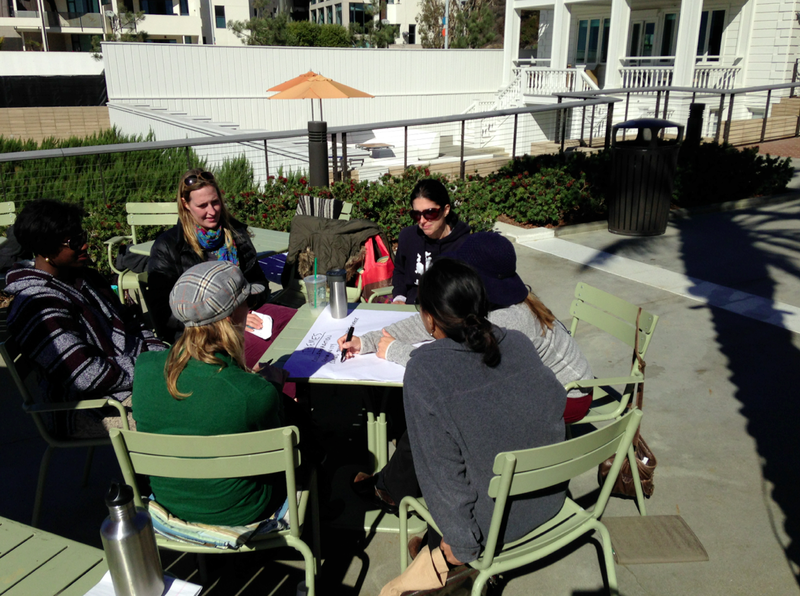 A note from Ron: I really appreciate Kelly taking the lead on this, and am happy both with the results of the retreat she facilitated and our process of working together as a team. As my practice evolves towards serving collaborative change initiatives and larger-scale organizations, Kelly is my go to Associate to serve smaller, community-based nonprofit organizations with limited budgets. This entry was posted in Board Development and tagged #Nonprofit, Board Development, boards, Clients, Facilitation, Leadership Development, Retreats. Bookmark the permalink.